The Virtual Bookshelf provides a list of recommended children’s books that reflect the theme of the issue and offers ideas on how to integrate them across the curriculum. In early times, patterns in nature were explained with stories and myth. From the ancient Greeks to the Native American tribes, stories circulated about the sky and the seasons. Later in history, science shed light on the mythical explanations; today we can confidently look to scientific discoveries for our answers. For this issue’s topic, Polar Patterns: Day, Night, and Seasons, we have incorporated both science-based books and mythical tales in six sections of the bookshelf: Day and Night Sky, Seasons, Myths about Seasons, Cause and Effect, the Aurora, and, of course, Penguins and Polar Bears. 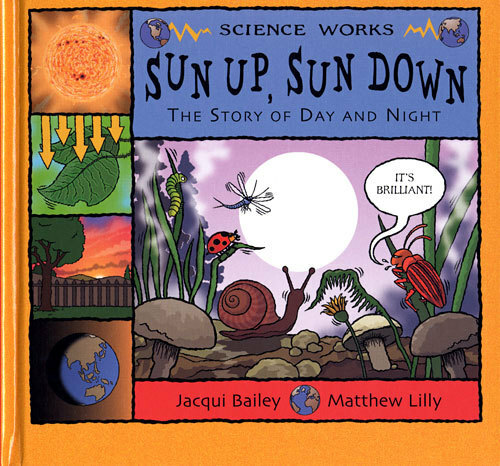 Use these books to introduce the concept of day and night to younger students or provide activities for students in upper elementary. Oscar and the Moth: A Book about Light and Dark. Geoff Waring. 2006. Nonfiction picture book. Recommended ages: Grades K-2.Friendly illustrations complement this story about Oscar, a curious cat, who learns about light and dark from a moth. The moth teaches Oscar about the rotating earth, the sun and stars, shadows, and interesting facts about light and dark. The facts are interwoven into the story, which relays the information at the simplest level. The ReadWriteThink lesson Casting Shadows Across Science and Literacy is a perfect complement to this book. 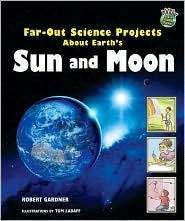 Far-out Science Projects about Earth’s Sun and Moon. Robert Gardner. 2008. Nonfiction book. Recommended ages: Grades 3-5.Ten experiments, using simple materials, unlock the secrets of the sun and the moon. After each experiment, the author offers background information and explanations. Several of these activities are similar to those presented in the NSTA unit Astronomy With a Stick. This book could be used at a learning center, or the activities could be adapted for whole-class use. Sun Up, Sun Down: The Story of Day and Night. Jacqui Bailey. 2004. Nonfiction book. Recommended ages: Grades 3-5.This visually appealing and conceptually sound book introduces elementary students to the concepts of day and night. The book provides many opportunities to stimulate discussions and perform demonstrations. 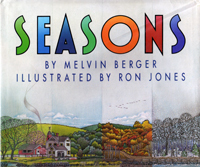 Use these titles to introduce the concept of seasons to younger students or provide an opportunity for reading informational text in the older grades. Both books describe the seasons as they appear to a student in the mid-latitudes of the Northern Hemisphere. If you are farther north or south (or in the Southern Hemisphere), the timing of your seasons will not match those described in these books. Locally written books may provide more accurate information for your students. We Both Read about the Seasons. Sindy Mckay. 2000. Nonfiction book. Recommended ages: Grades K-1. 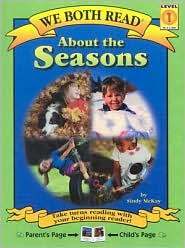 This is a great beginning book about the reason for seasonal change. There is a parent/grown-up page to be read aloud and then an easy page for the beginner reader to read aloud to a grown-up. 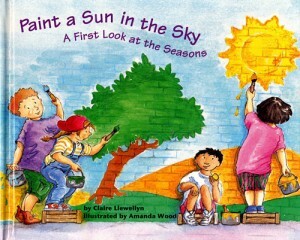 Paint a Sun in the Sky: A First Look at the Seasons. Claire Llewellyn. 2004. Picture book. Recommended ages: grades K-1.This book focuses on four distinct seasonal changes, is written on a primary level and can be used with pre-readers as a read aloud. Illustrations are child friendly, mostly accurate and are set in an urban location. The back of the book contains an explanation for the reason we have seasons, which is friendly to young readers and is useful to teachers. The Useful Words and Fun Facts section is helpful for teachers to conduct authentic discussion of the scientific principles affecting the topic of seasons. Throughout, the story is told from a child’s perspective and will help youngsters to identify with the impact seasonal change has on their activities and dress. Seasons. Melvin Berger. 1990. Nonfiction book. Recommended ages: Grades 2-5.The author answers many questions about the changing seasons, the characteristics of the changes, and the Greek myths behind the seasons. In the last part of the book, the author details each season including particular characteristics and holidays. This book contains a great deal of informative text and would be best used one section at a time. It is well suited for individual or paired reading, but could be projected onto a screen for use with a larger group. Upper-elementary students can begin exploring how cultures around the world viewed and explained the seasons. Mythology and pourquoi tales provide interesting ways to explore perceived cause and effect relationships. Students can also write their own pourquoi tales in this ReadWriteThink lesson. 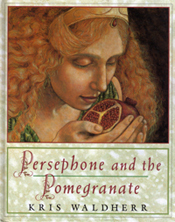 Persephone and the Pomegranate. Kris Waldherr. 1993. Nonfiction picture book. Recommended ages: Grades 2-5.The reason for the seasons is revealed in this retelling of the ancient Greek myth. The illustrations are whimsical and captivating. 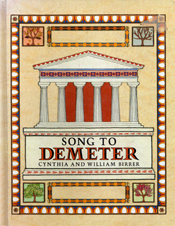 Song to Demeter. Cynthia and William Birrer. 1987. Nonfiction picture book. Recommended ages: Grades 2-5.This retelling of the Greek myth about the explanation of the seasons has intriguing pictures and simple text, making the book accessible to many ages. The fabrics and textures used in the pictures provide an opportunity for students to explore the medium of collage. Thirteen Moons on Turtle’s Back: A Native American Year of Moons. Joseph Bruchac and Jonathan London. 1992. Poetry. Recommended ages: Grades 3-5.This poetry collection is a cross-curricular connection to the moon and the seasons. Through poetry and story the Native American myths of the 13 moons of the year are brought to life and reveal the wonder of the seasons. Social studies, science, and literature are explored through poetry, legend, and the history of the native people. Cause and effect is a difficult concept for students to identify in narrative and expository text. Use these titles to introduce cause and effect relationships to younger students. Older students can explore the relationships through pourquoi tales and write their own. 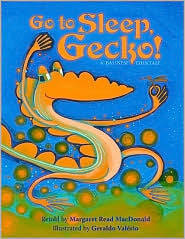 Go to Sleep Gecko! Margaret Read MacDonald. 2006. Picture book. Recommended ages: Grades K-2.In this Balinese folktale, Gecko complains to the village chief that the light of the fireflies is keeping him awake all night. This story explores elements of the night and serves as an illustration for cause and effect in nature and life. The bold pictures make this book an easy one to share with a group. How Chipmunk Got His Stripes. Joseph Bruchac and James Bruchac. 2001. Picture book. Recommended ages: Grades K-2.Based on Native American folklore, this tale of night and day is a fun way to illustrate cause and effect. When Bear and Brown Squirrel have an argument about whether Bear can stop the sun from rising, Squirrel ends up with claw marks on his back and becomes Chipmunk, the striped one. How the Whale Became and Other Stories. Ted Hughes. 2000. Short stories/fiction book. Recommended ages: Grades 2-5.First published 25 years ago, this collection of pourquoi tales offers magical stories of what happened to a number of animals, including the polar bear. A lesson from ReadWriteThink gives students an opportunity to read pourquoi tales, then write their own. The aurora (northern lights in the Arctic, southern lights in Antarctica) is a beautiful yet complex scientific phenomenon. While students in upper elementary may be ready for a basic introduction to the science behind the aurora, younger students can appreciate the colors and many legends from indigenous Arctic people. Older students may also appreciate the descriptive language and colorful illustrations in the recommended picture books. Our article “The Aurora: Inspiration for Art and Poetry Integration” provides activities for use in conjunction with these books. This month’s original feature story, “The Aurora: Fire in the Sky,” takes an imaginative look inside the phenomenon. Aurora: A Tale of the Northern Lights. Mindy Dwyer. 1997. Picture book. Recommended ages: Grades: K-3.A fictional tale of a young girl named Aurora who travels to find a land of darkness and understand her grandmother’s mysterious story. As she travels, she collects the various colors of daylight. When she reaches the land of darkness, she scatters the colors, creating the northern lights. Rich vocabulary makes this story perfect for introducing descriptive writing to young students. 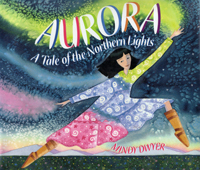 Northern Lights: A to Z. Mindy Dwyer. 2007. Picture book. 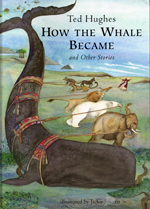 Recommended ages: Grades K-3.The book’s 26 facts and legends – one for each letter of the alphabet – explain both the science behind the aurora (solar winds hitting the earth’s magnetic fields) and the legends it has inspired, such as the fascinating Makah Indian myth that pots of boiling whale blubber created it. The Blizzard’s Robe. Robert Sabuda. 1999. Picture book. Recommended ages: Grades K-3.A fictional story of a young girl whose kindness toward Blizzard earns her people his greatest gift: the northern lights. Colorful batik illustrations evoke traditional folk art and complement the poetic text. 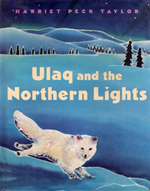 Ulaq and the Northern Lights. Harriet Peck Taylor. 1998. Picture book. Recommended ages: Grades: K-3.Ulaq, a curious Arctic fox, asks his fellow animals about the colored lights he sees in the sky. While the “discussions” and interactions between the animals are not scientifically accurate, their explanations for the northern lights are based on actual legends told by Arctic people. This is an engaging way to introduce the concept of mythology to younger students. Northern Lights. Deborah Underwood. 2004. Nonfiction book. 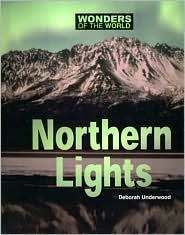 Recommended ages: Grades 4-5.A nonfiction book divided into four chapters that discuss the northern lights, legends and myths, the cause of the aurora, and danger signs. Color photographs accompany the expository text. A glossary and an index are included. This book is best suited for individual reading or small groups due to long text passages. Since the name of the project is Beyond Penguins and Polar Bears, we had to highlight two of our favorite books on these polar animals. Knut: How One Little Polar Bear Captivated the World. Juliana, Isabella and Craig Hatkoff and Gerald R. Uhlich. 2007. Nonfiction book. Recommended ages: Grades 1-5.When Knut was born, he was the first polar bear cub at the Berlin Zoo in 30 years. This true story chronicles Knut’s start in life after his mother rejected him. 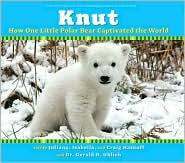 The book includes engaging photos of Knut through his first months of life as well as a connection to the plight of polar bears in the Arctic. 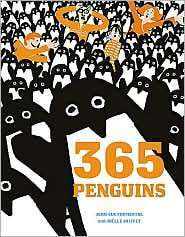 365 Penguins. Jean-Luc Fromental. 2007. Picture book. Recommended ages: Grades K-5.Get ready to laugh! When a box containing a penguin arrives anonymously on New Year’s Day, a family of four is puzzled, but as they continue to receive one penguin each day their problems – and food budget, and storage issues – are multiplied. This silly book will serve as a great math connection! The arrival of the mysterious sender at the end of the story provides a connection to global warming and the problems faced by penguins in light of earth’s changing climate. This article was written by Angela Grandstaff and Jessica Fries-Gaither. For more information, see the Contributors page. Email Jessica at beyondpenguins@msteacher.org. Copyright May 2008 – The Ohio State University. This material is based upon work supported by the National Science Foundation under Grant No. 0733024. Any opinions, findings, and conclusions or recommendations expressed in this material are those of the author(s) and do not necessarily reflect the views of the National Science Foundation. This work is licensed under an Attribution-ShareAlike 3.0 Unported Creative Commons license.